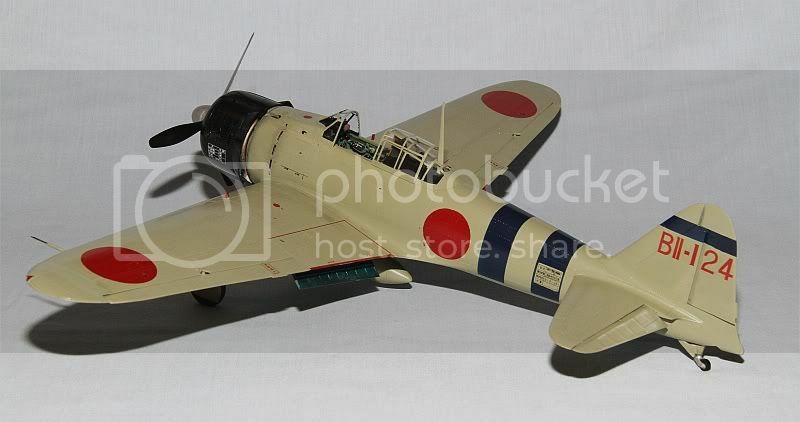 On 19th February 1942, Sea1C Hajime Toyoshima took off from the Imperial Japanese Navy aircraft Carrier Hiryu, to participate in the first attack on Darwin, Australia. 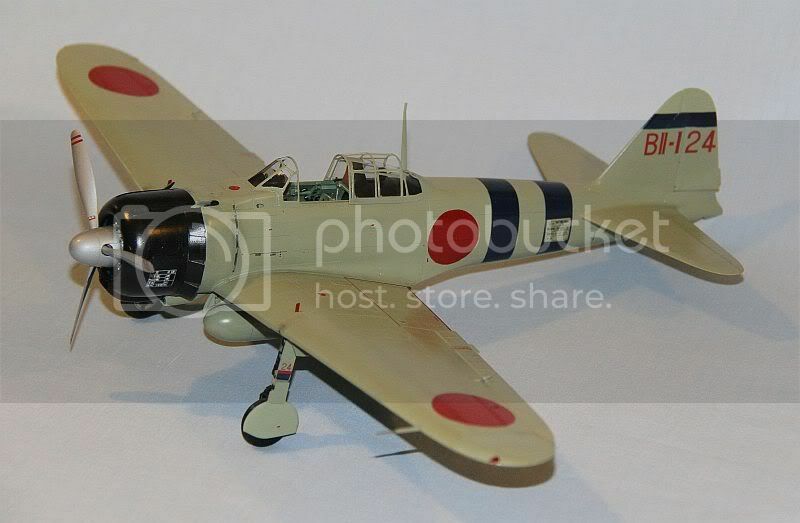 Toyoshima's Zero, BII-124, was reportedly hit in the oil tank by a single bullet and he crash landed on Melville Island, to the north of Darwin. He became the first Japanese prisoner of war in Australia. Toyoshima reportedly committed suicide after leading an attempted breakout of over 1100 Japanese POW's from the Cowra POW camp. He was a proud warrior. Approximately 200 POW's died or committed suicide during this breakout attempt, along with four Australian soldiers and one Australian civilian. The remains of the centre section of this Zero is located in the Australian Aviation Heritage Centre in Darwin. It is an impressive aircraft museum. This was my first attempt at using acrylic paints and boy am I impressed. I chose the Tamiya range of paints as per the callouts in the instructions. My first impression after painting the undercarriage doors, was that the recommended XF-76 IJN Grey-Green was too dark and too green but once the entire model was painted it looks spot on, just as advertised by Tamiya for this scale. The Aotake is Tamiya X-13 Metallic Blue enamel mixed with about 30% X-25 Clear Green. I think it looks ok in the flap wells, intakes and cowl mounts. The front cowling was rattle can sprayed inside and out with Tamiya TS-29 Semi Gloss Black enamel. After I had painted, decalled and gloss coated the propellor, I discovered that the rear of the propellor blades should have been brown. Too late, so sad, mine are black and they are staying that way. I am not game to remask the propellor front surfaces in case I lose the markings. I masked and painted the Hinomaru's and the blue ID bands. References are inconclusive about the correct colour of the ID bands. I personally like the look of the darker bands so that's the way it is. The little bit of exhaust and gun muzzle staining was applied with a small brush using scrappings from a Burnt Umbra pastel stick. I found the construction complex and the instructions somewhat confusing, for me at least in two areas. 1. I chose not to utilise the retracting undercarriage and found that I had to have the undercarriage painted, completed and attached to the model prior to the overall painting of the aircraft in order to get the overlying sections of the wing in place. I compressed the oleo springs to get the correct sit of the model and then glued the oleos in that position. I used a plastic drinking straw, split in half to cover the completed undercarriage legs, minus gear doors while I painted the model. Not too much of a hassle as it turns out. 2. The engine detailing is thorough, but I failed to work out how much would be seen until after I had completed the work behind the engine. My intention was to leave the engine off until I had painted the aircraft, but found that I had to install the engine firewall before painting, leaving a complete engine sticking out the front and needing to be masked. Unless you leave the engine bay accessory panels off the model to display those parts, I suggest that you leave off all of the parts behind the engine firewall. That way you can install the firewall but leave the engine off until after completing the overall painting of the aircraft. I had painted the wheel wells Aotake, as per the instructions, but later research indicates that they were most likely painted IJN Grey-Green, so as I sprayed the airframe I oversprayed the wheel wells with that colour and it looks about right to me. The kit is magnificent, hardly any filler required, but the wing attachment was tight and required some trimming to fit without squeezing. It is probably something I did during the build that caused it to be a little tight. As stated earlier, I am really impressed with the acrylic paints. I thinned them with Mr Color Thinner 250 and added a drop of Tamiya Acrylic Paint Retarder for spraying and when I needed to use a brush for smaller details I added a few drops of the particular colour into a bottle top lid, added a touch of retarder and it worked beautifully. Airbrush and brush cleanup was done easily with WINDEX. I used Pacoe's Long Life Self Shining Floor Polish as the semi gloss coat applied with a soft brush. This appears to be the Aussie version of Future and works fine. I bought the Yellowhammer decals because my experience with the Tamiya decals in my Spitfire VIII was not good. Although the Spitfire decals worked ok in the end, they were brittle and it was hard work getting them on properly. 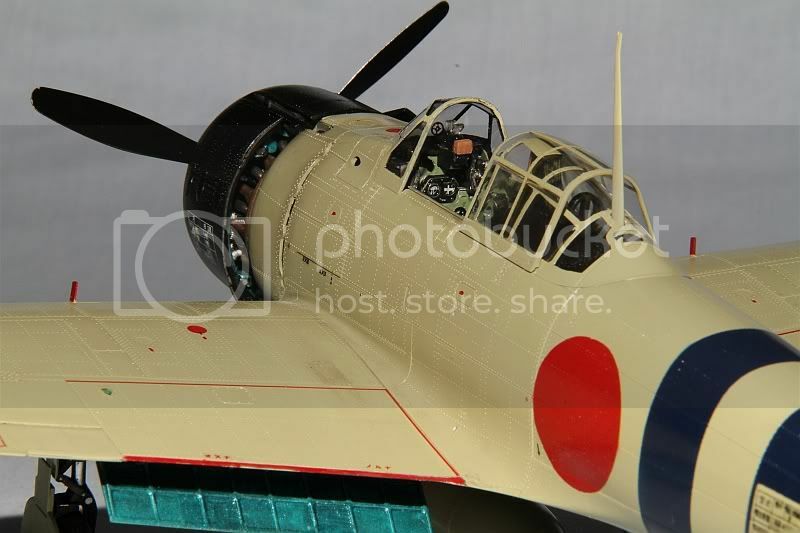 Painting the Hinomarus and ID bands worked a treat and the aircraft ID markings and stencilling was a mix of Tamiya kit decals and Yellowhammer. 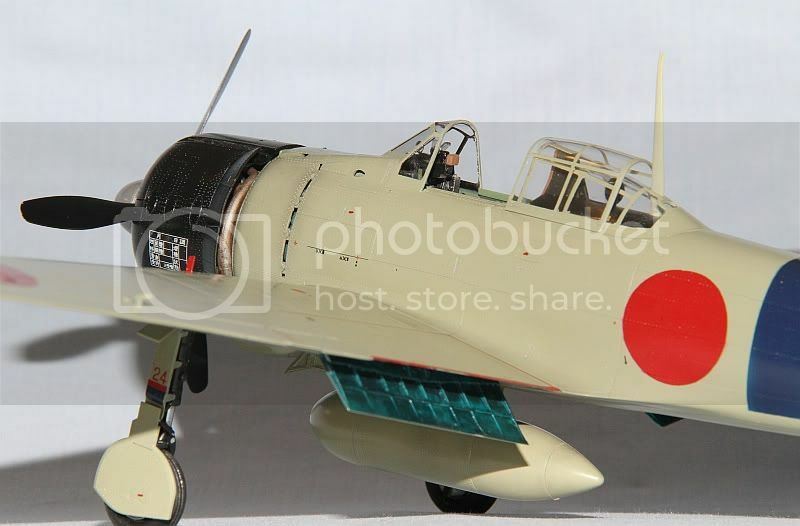 The Hinomaru red is Tamiya X-7 Red mixed with approx 10% Xf-64 Red Brown. It looks ok to me. Not too bright but not too dark. 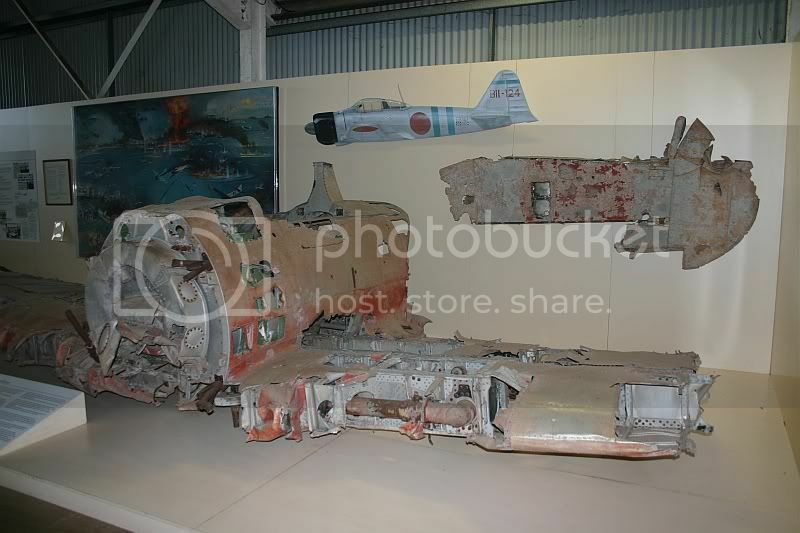 Here is the remains of the real aircraft in Darwin. I took the photo in 2007. And finally here is one happy modeller. Photos from my Canon 7D and 550EX flash mounted on a tripod and shot at 1/50th sec, F16 to get a good depth of field against a blue-grey bed sheet, cropped and sized using Irfanview. Come along to our next IPMS Queensland meeting - Wednesday 18th April at 1930 and see it in person. Details are on our website. Looks great mate, Mine is somewhat down the build line, but if I can get it to look as nice as that I will be very happy. Look forward to seeing it in the flesh. That's a really nice rendition of an early Zero mate. Thanks for the back story too. 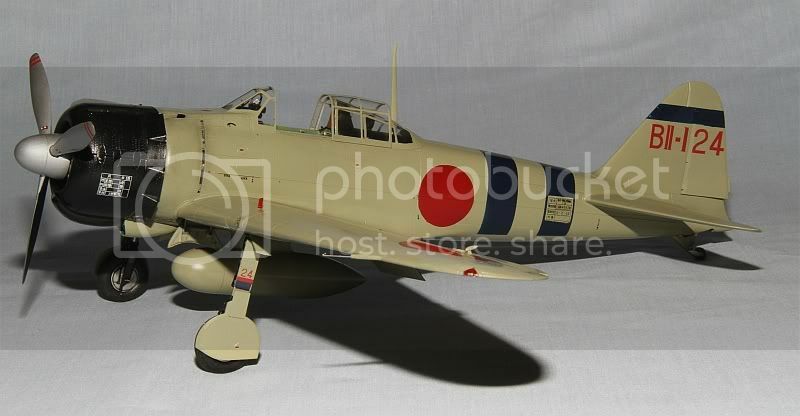 I wouldn't worry too much about any perceived colour inaccuracies, as folks argue even more about Japanese WW2 colours than they do about the Luftwaffe stuff! I would call your Zero a smashing success! 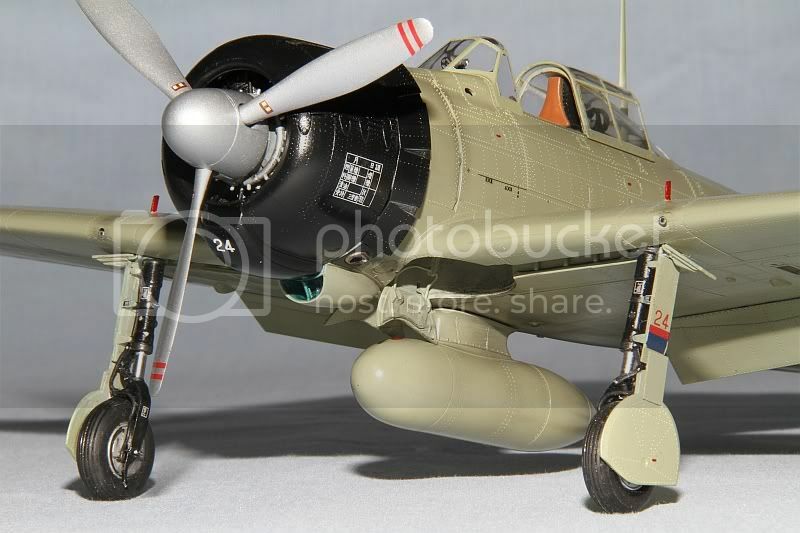 I just finished the A6M5 boxing, and would agree with your observations on the kit. Tamiya's method of having the retractable gear with the ill-fitting wing LE panels is a bit of a PITA, and I like your solution to the problem- better than what I came up with in fact. 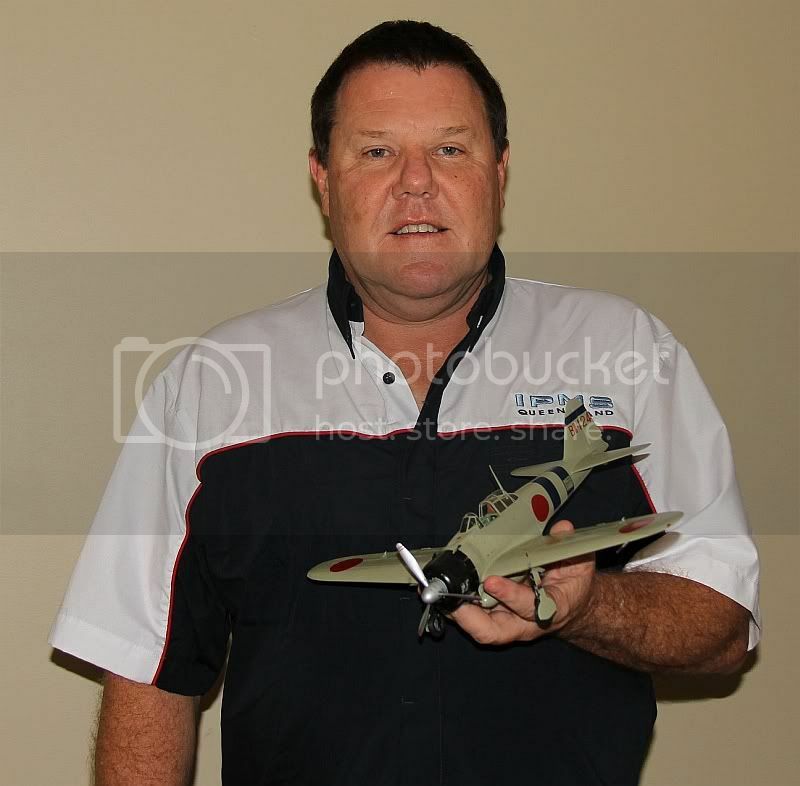 I will use your ideas when I get to my A6M2! Beautiful model there, I can see why you are very happy with her. Great build and presentation. Thanks for sharing the story of this aircraft that you brought back to life! Excellent presentation. It is good to read your thoughts and comments on the building process. Thank you. Like the photo of the real aircraft..although it is so badly damaged...seeing such history before My eyes is such a treat. 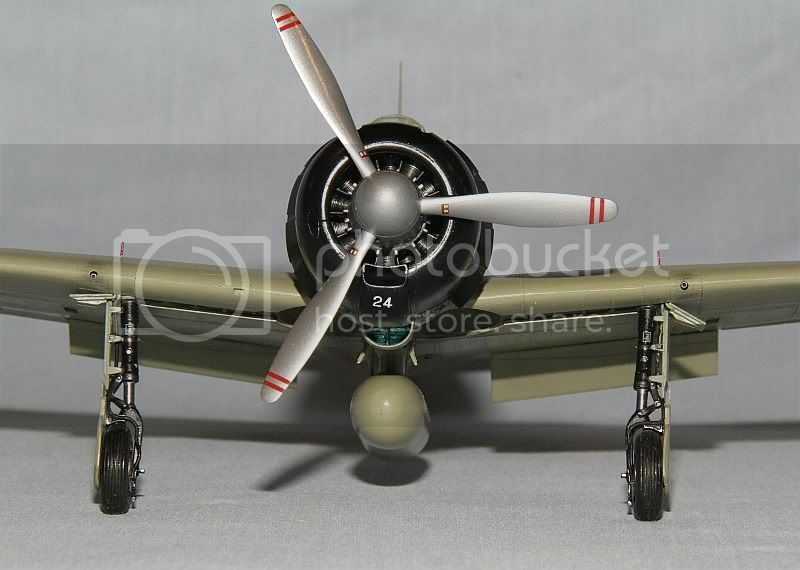 Very nice representation of the A6M2b (model 21). The darker blue bands for Hiryu are correct. What Tamiya gives you is not. The red primer is noteworthy in the photo of the actual relic as is the olive-grey paint. I'm sure it's worn/faded after so many years of exposure and nowhere near what it was in 1942. Well done! 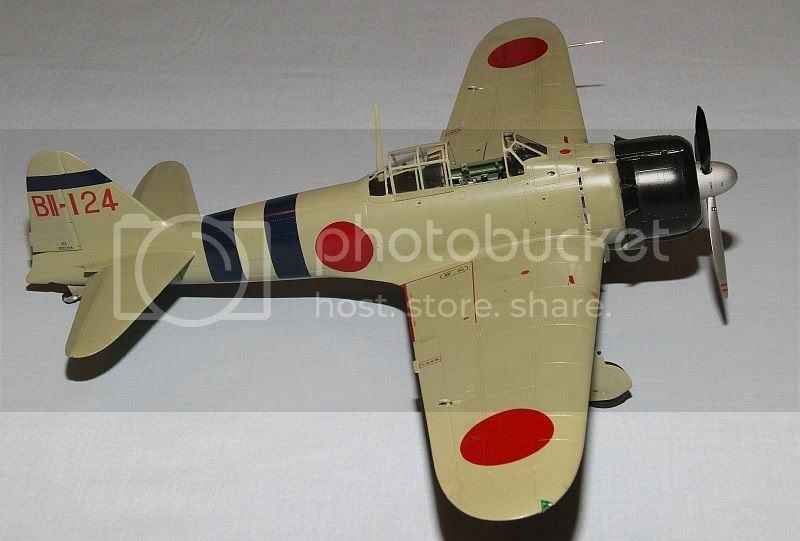 Now if I could get my model room finished (it's nearly complete), I can continue work on my A6M2N (aka Rufe). Best wishes with your room and your Rufe Tim. Terrific build and thanks for the back-ground story as well, very interesting and it certainly adds to ones appreciation of the subject matter. Great history , and a sperb build.. I've always wanted to get myself one of the early Zeros .. now more then ever!